Just wanted to share a couple of cards with you. These cards were inspired from a video I seen from My Favorite Things, I thought their cards were so pretty, I wanted to recreate them with some of the things I had. 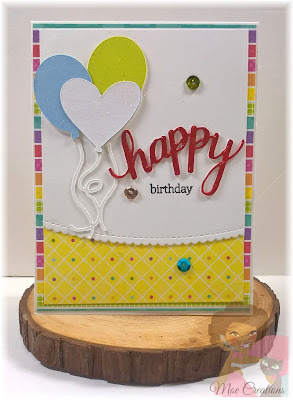 If you would like to see what I used to create my cards just head over to my YouTube channel and you will get all the information there.